Jay Merrell, vice president of Norplex-Micarta and IDI in Noblesville, Indiana, begins his two-year term as chairman of the board. Jay Merrell, Vice President of Norplex Micarta and IDI Composites International was elected chairman of the board for the American Composites Manufacturers Association (ACMA). 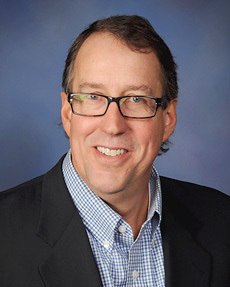 Merrell has served as chair of the ACMA's Finance Committee and Government Affairs Committee, has been a participant in the association's National Lobby Day since 2008 and been a member of the Political Action Committee since 2010. He was elected to the ACMA Board of Directors two years ago and served as president elect/treasurer. Merrell's goal as chairman is to help the association grow the marketplace through its Composites Growth Initiative committees, educate members on best practices and influence regulatory and legislative issues that impact composites. "The benefit and beauty of ACMA is you are not alone," Merrell said. "You meet other people with similar ideas and problems, and you work together as a group to further the composites industry. Through the strength of many, we have accomplished much. We will continue to work together to open new markets for composites through our Composites Growth Initiative and to secure the future of our industry on Capitol Hill." Merrell succeeds Lori Luchak of Miles Fiberglass & Composites as board chairman. Norplex-Micarta is the leading manufacturer of high performance thermoset composites. Norplex-Micarta's vast product line and variety of product forms serves power generation, alternate energy, ballistic protection, construction, electrical devices, electronics, heavy industrial, military/aerospace, oil & gas, and transportation markets throughout Europe, Asia/Pacific, and The Americas. Having opened a new production facility in Changzhou, Jiangsu, China in June 2013, Norplex-Micarta is headquartered in Postville, IA, USA; Tel: 563-864-7321; Fax: 563-864-4231; E-mail: info@norplex-micarta.com; Web: www.norplex-micarta.com.